It was a beautiful Sunday and Christian faithful were headed to Church to worship in the presence of God. Little did one lady know that he journey to church from home would lead her to the presence of her maker. Obiageli Ezeanowiyi was so engrossed in a conversation with her friend on the phone that she failed to notice she was approaching a bus stop where people were standing. By the time she realized this, she had hit and killed a female commuter, Madam Chichi who was waiting for Keke Marwa to convey her to her destination. The incident happened at Jakande Estate junction at Okeafa, Isolo on Sunday. As providence will have it, Ezeanowiy and Chichi were heading to the same destination. They were both going for Sunday adoration service at the St. Peters Catholic Church where both are members. Bounce News gathered that Ezeanowiyi was coming from Isolo heading to church while the deceased was said to have gotten to Jakande junction. While she was still standing at the bus stop, Obiageli who was driving her SUV received a phone call she considered urgent. Madam Chichi was pronounced dead at the scene. An Okada rider, who was at the scene when the incident happened, told Bounce News that the female driver was momentarily insane. “But she also tried to claim her brakes had failed, telling people the traffic in front of her “just stopped - I hit my brakes but just couldn’t stop”. Men of the Lagos State Traffic Management Authority (LASTMA) and Nigerian Police arrived the scene a few minutes later. The corpse was taken to Isolo mortuary for autopsy report while Obiageli was arrested and detained at the Ejigbo Police State. The SUV with registration number LND 539 AC, which Obiageli drove was also recovered and parked at the station as exhibit. The late Chichi, a mother of three children, hailed from Mbano in Imo State. When Bounce News visited the police station on Wednesday, Obiageli was still being detained. Although the IPO in charge of the case was not available, another officer familiar with the case, Sergeant Sunday told our correspondent that the incident was an avoidable one. He added: “Driving whilst using a mobile phone is one of the ‘fatal four’ driving offences, along with speeding, not wearing a seatbelt and drink or drug driving. "It’s an offence which can, as this case shows, have catastrophic consequences." He said investigation is still ongoing as the police awaits the autopsy report. He added that the suspect will be charged to court if she is found culpable. 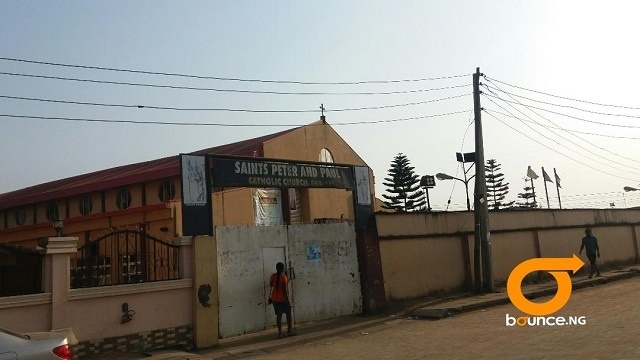 Our correspondent also visited the St. Peters Catholic where both the suspect and the deceased worshipped. No official of the church was ready to comment on the incident but it was gathered that the church has already intervened in the matter. Will the police be able to prove beyond reasonable doubt that Obiageli was driving when the incident occurred? Do they have video evidence or is their initial report based on hearsay or unproven speculation? Will Obiageli admit to be at fault in court and go down with some time in jail?